The folks at Hasbro love Ant-Man so much that they’ve recreated three Ant-Man posters using Hasbro gear for Iron Man (above), Captain America (after the jump) and Thor (also after the jump). a) That’s pretty cool, and b) that was fast! 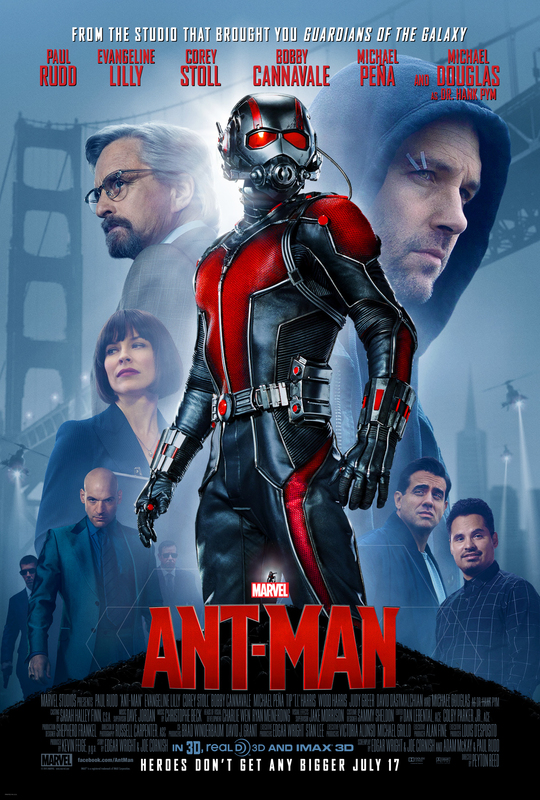 Ant-Man – Go small Or Go Home! Ant-Man will likely be the best superhero movie of the year. Following in the wake of the huge Avengers: Age of Ultron, it was a canny move for Marvel to go small – it enabled the Peyton Redd directed movie to cheerfully subvert superhero movies while being a terrific one itself. As an Edgar Wright fan, I can tell you that his fingerprints are all over the movie – who else would’ve come up with the idea to spoof every movie fight on a moving train ever in such a crazy way? Am I right? But while Ant-Man may not have the unique flourishes Wright might have provided, it still strikes almost all the right notes to be the most loopily funny and purely entertaining Marvel movie not called Guardians of the Galaxy. We Just Robbed You! Ant-Man Clips! 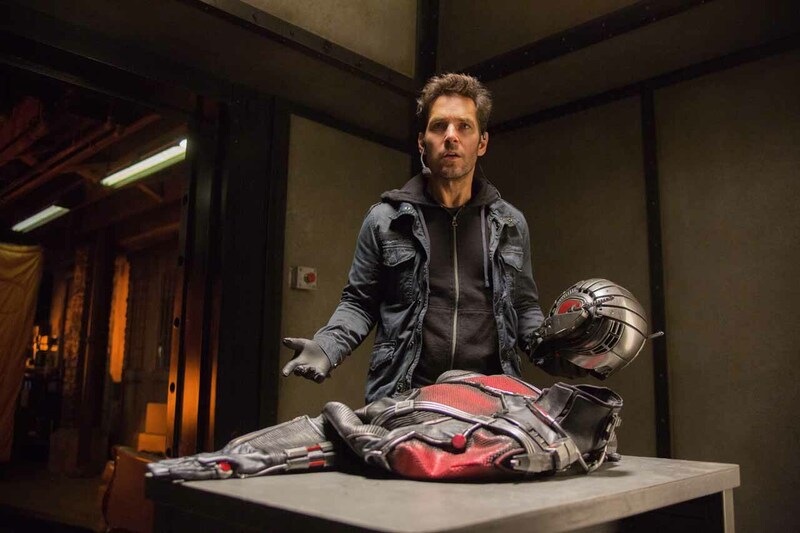 Marvel’s Ant-Man isn’t just a superhero movie – it’s also a heist flick. Marvel has released several new clips to look at the heist aspect of the film and introduce the film’s villain, Yellowjacket – plus much, much more. Check them out after the jump. 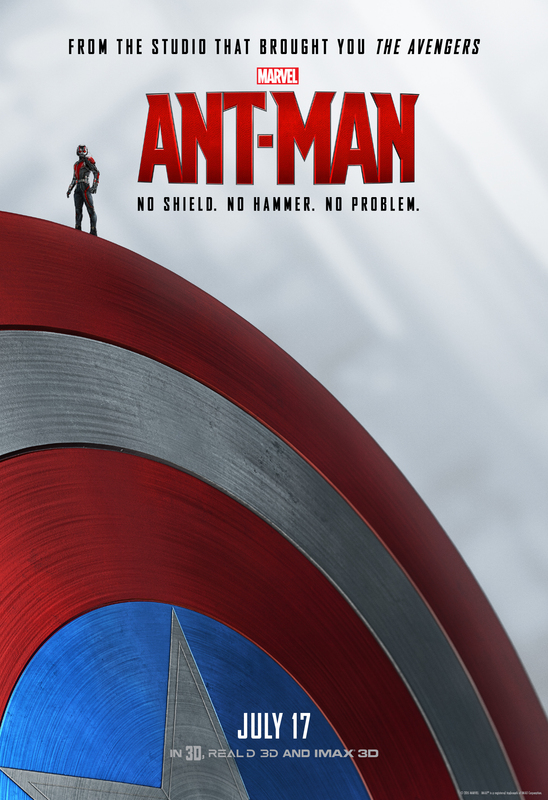 Marvel’s Ant-Man opens on Friday, July 17th. 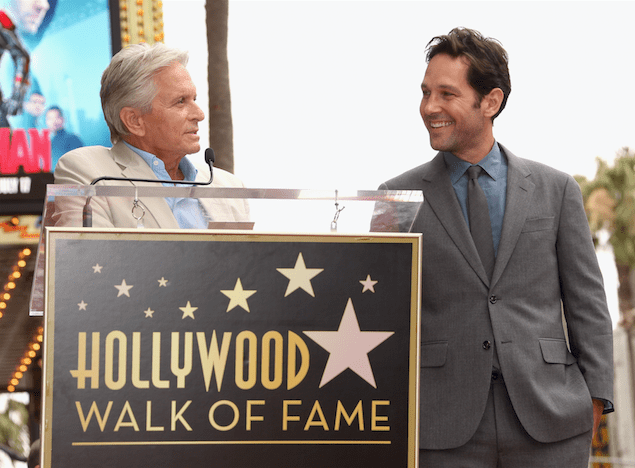 Ant-Man Star Gets Star On Hollywood Walk of Fame! Paul Rudd, star of Marvel’s Ant-Man, has been given a star on the Hollywood Walk of Fame.